Few activities are more thrilling and rewarding than seeing the beautiful islands is to experience them on a Hawaiian islands helicopter tour. Helicopter tours are one of the most popular things to do in Hawaii because there are so many areas that you just can’t see any other way. Hidden waterfalls in misty clouds, sweeping views of an entire side of the island and unique perspectives of the ocean and reefs means that your helicopter tour will be enjoyed and remembered as a special part of your Hawaiian vacation for years to come. However not all helicopter tour routes and aircraft are alike. We are here to help you sort out all of the various options and flight routes available to make sure you get to see all the amazing sights at the best prices. 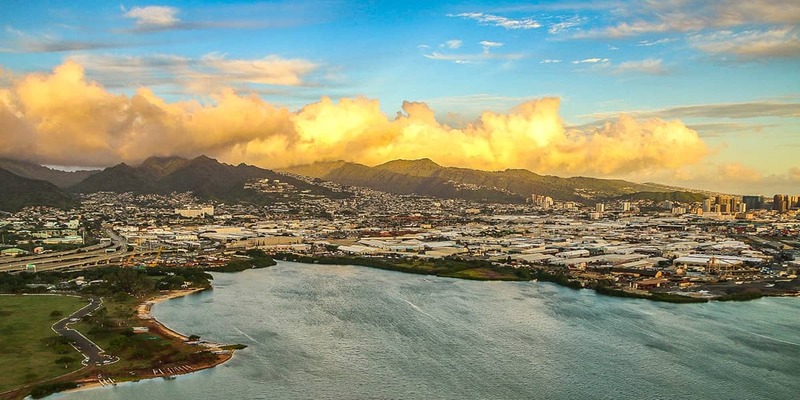 From affordable 30 minute tours to deluxe 60 minute flights that circle the entire island we have safe and informative helicopter tours of Oahu that will be the highlight of your Hawaii vacation! Maui is known as the “Valley Isle” because of it’s two mountain ranges. The West Maui Mountains have hundreds of valleys encircling it’s highest point which is the second wettest place on earth. The valleys leading from this peak are loaded with some of the highest waterfalls on the island. However they are rarely visible from Maui’s roads. The only way get a good view of them is from a helicopter. The Hawaiian islands helicopter tour from West Maui can also include a flight across the channel to the island of Molokai and it’s thousand foot high ocean cliffs! Another spectacular landscape of valleys and waterfalls is Haleakala. The northeastern slopes have hundreds of waterfalls cascading through the jungle forest valleys along the Hana side. For every waterfall you see along the road to Hana there are dozens above it and often a few farther down each valley. From the air it’s truly stunning how many waterfalls there are – with some even cascading into the ocean! Add to this the beautiful beaches and shorelines and it’s easy to see why Helicopter tours are so popular on Maui. We have several flight times and routes to choose from that will help you choose a great air tour that’s perfect for you and your families time and budget! Some of the most beautiful and scenic parts of Hawaii are so remote they can only be seen from the air. That’s why a Hawaiian islands helicopter tour is so spectacular, especially on the Big Island. It’s such a huge island that it can take a full day of driving to see just one side of the Big Island but from the air much more can be seen in a short period of time. From Kilauea Volcano (the world’s most active volcano) to black sand beaches to rainforest valleys filled with waterfalls and towering sea cliffs, there are lots of itineraries and routes to choose from. 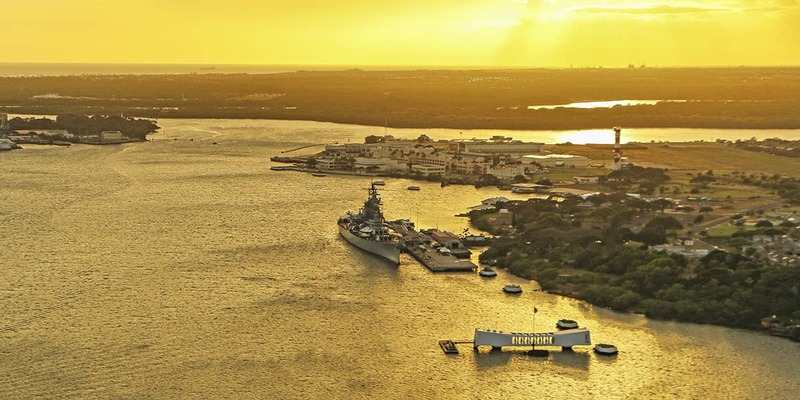 Helicopter tours depart from Kona, Hilo, and Waikoloa and can last from one hour to a full day with on-ground sightseeing at various locations. Often if visitors take a helicopter tour during the early part of their stay it can help set your priorities for the rest of your Big Island vacation. Typically a 40 to 50-minute flight from Hilo takes visitors to the most active parts of Kilauea Volcano then heads northeast to the waterfalls and ocean cliffs of the Hamakua Coast. Being the shortest flights available they are often more affordable than flights from Kona. Tours from Kona on the southwestern side of the island need to cover more distance to get to Kilauea but include amazing views of the Kona Coast. These tours can be expanded into a full day circle island tour which includes the dramatic sea cliffs of the Kohala Coast with Waipio Valley’s 2000’ cliffs and waterfalls in the north and the lush rainforests of the Hamakua Coast in the east. We have compiled some of the best choices for flights no matter what side of the island you are staying on!